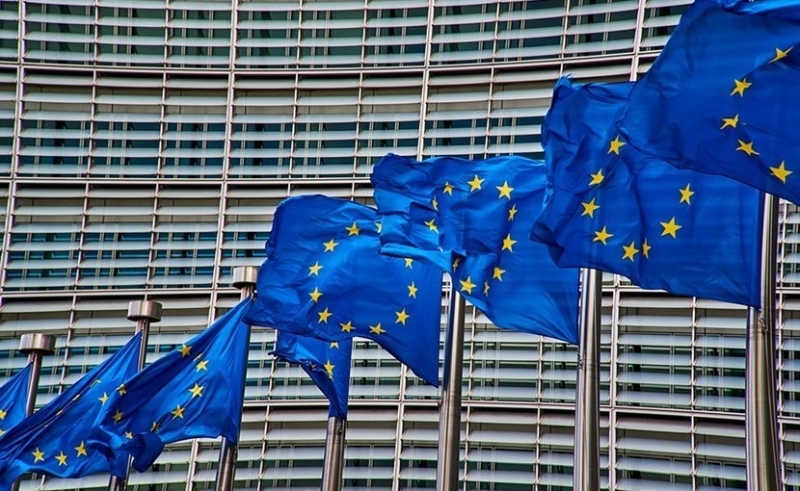 For some months there have been reports and articles, which were clearly indicating growing “loosening” of the once somewhat pronounced unity of the European Union (EU). However, in that context, the most “eye-catching” article was the one titled “Europe on the Brink of Collapse”. It was published on 17 January 2019 by Global Research, and was written by Peter Koenig who is an economist and geopolitical analyst; has worked for over 30 years with the World Bank and the World Health Organization around the world; and lectures at universities in the US, Europe and South America. This aspect related to Europe, analysed and inferred upon by a credible author like Peter Koenig certainly deserves further study and analysis, because such major evolving changes in Europe – even if “loosening” and not “collapsing” – are bound to have major geopolitical and geo-economical implications for most parts of the world. Published material about the evolving changes in Europe indicates the internal as well as external dynamics of the change – and both these aspects are inter-linked. Different analysts/writers have highlighted varying aspects due to which these changes are evolving in Europe. However, all those aspects being the ground realities have to be taken a careful note of. A very brief mention of those is presented in the succeeding paragraphs. (c) certain European countries, i.e. former Soviet satellites, Hungary and Poland, turned right wing – don’t appreciate Brussels’ (EU’s principal seat) meddling with Hungary’s anti-immigration policy and in Poland over a controversial overhaul of the Judiciary system. Ivaylo Ditchev who is a Professor of cultural anthropology at Sofia university, Bulgaria, and has been teaching mainly in France and US, has published an article titled “My Europe: The Dangerous Balkanization of the EU”. He has highlighted: “In today’s European Union, bickering local elites rely on the support of global powers. Europe has been torn apart by competing factions”; “National elites have started to rely on the support of foreign countries, as was the case in the Balkans throughout the 20th century”; and that, “Far-right parties from Italy to Estonia challenge the EU by demonstrating closeness to Moscow, while former communists from Bulgaria to Latvia trade in friendship and communist nostalgia”. “Eroding standards of democracy and growing political polarisation are severely hampering the implementation of sustainable reforms”; the quality of democracy in many western industrial nations is waning, and is compounded by a simultaneous decline in the adequacy of governance. Besides that “with the rise of populist parties in almost all the countries, the cleft between ‘the left’ and ‘the right’ has increased—and a number of governments are seeking to entrench conflicts within their respective societies rather than solving them”. Michael Dauderstädt is a freelance consultant and CEO of Dietz publishing house and a former director of the division for Economic and Social Policy of the FES (Friedrich-Ebert-Stiftung). In his article of 15 January 2019, he has highlighted the aspects of poverty and inequality in Europe. He asserts: “Official EU statistics mask the alarming extent of poverty and inequality in Europe. Despite slight recent easing, its dangerous scale threatens Europe’s social and political cohesion”; and “inequality is one of the key drivers of higher immigration, which in turn fuels feelings of anxiety and insecurity and the rise of populism. Immigration was a key factor behind ‘Brexit‘ and is a central rallying cry for many populist parties across Europe, including in Scandinavia, France, the Netherlands, Germany, Italy and central and eastern Europe”. Guido Montani who is Professor of international political economy at the University of Pavia (Italy) in his article of 19 February 2019, has asserted: “The recent social revolts in Europe, however, have deep roots. They are the consequence of the EU’s inability to offer a credible response to the challenges of globalisation, the rise of multinationals, new technologies and uncontrolled migration flows—not to mention the mismanagement of the financial crisis, from which even a decade later many European countries have not yet recovered”; and, “At present, anti-European parties appear to be on the rise and no one can rule out the possibility of them gaining a blocking majority, or at least enough of a majority to hinder any attempts to ameliorate EU governance”. The external dynamics of the evolving change in Europe has two distinct facets, i.e. a sort of “splitting” of the European countries from once a quite “united” EU; and, a clearly discernable geopolitical and geo-economical “reset” away from the decades-old US- alignment, even by the major West European countries. As for the internal “splitting”, Professor Ivaylo Ditchev’s above-mentioned assertion, “Far-right parties from Italy to Estonia challenge the EU by demonstrating closeness to Moscow, while former communists from Bulgaria to Latvia trade in friendship and communist nostalgia”, provides the unmistakable clue. However, that trend is also visible now in the cases of UK’s Brexit, as also in the case of German Chancellor Angela Merkel’s elusive response to French President Emmanuel Macron’s plea to support his plans to develop a strong Europe by taking concrete measures. Similarly continued resistance by Poland, the Czech Republic, Slovakia and Hungary, of Berlin’s drive toward an EU asylum policy, is yet another example of that trend. However, the much more pronounced external dynamics of the change is the major geopolitical/geo-economical “reset” of three members of G7 (Germany, France, and Italy) away from US (also a member of G7), and that too towards Russia and China – the two world powers considered by US as its major active rivals in many fields, ranging from various aspects of military to trade conflicts. As for Germany, that “reset” is clearly marked by Germany’s insistence on going ahead with its planned Nord Stream 2 pipeline project to bring gas supply directly from Russia. Incidentally, as published by DW report dated 7 February 2019 this pipeline is to run along the course of “Nord Stream 1, a similar project in operation since 2011 that doesn’t seem to bother anyone at the moment”. However, this time besides some other countries, US remained the main opponent of Nord Stream 2 project. The DW report has further clarified that the 1,230 kilometers Nord Stream 2 pipeline will meander through the maritime waters of Finland, Sweden and Denmark before landing in northeastern Germany. By the end of last year (i.e. 2018), 370 kilometers of pipeline had been put in place. And at the end of January, Klaus Haussmann, an engineer working at the pipeline’s future landfall site in Greifswald, told public radio station Deutschlandfunk that the “raw” laying of the pipeline was scheduled to be finished by the middle of the year. After that, electrical equipment would be installed and gas could be flowing by November (i.e. 2019). And now, according to the report of planete energies dated 13 February 2019, the EU too has “pushed ahead Wednesday with an agreement that will allow Russia to continue to build a new gas pipeline to Europe, despite US warnings it posed a security risk”. Yet another very recent case of Germany’s refusal to accept US’ dictates relates to Hezbollah, which is part of Lebanon’s main stream political spectrum, is represented in Lebanon’s parliament, and has three ministries of the 30 ministries of the Western-backed Prime Minister Saad al-Hariri. However, the US government has been pressuring European countries to declare all the wings of Iran-backed Hezbollah as a terrorist organisation, to curtail Iran’s influence in the region. According to a report of DW (12) dated 8 March 2019, last month UK banned Hezbollah in its entirety. However, Germany refused to ban Hezbollah’s political wing as a terrorist organisation, because as mentioned by the Deputy Minister in Germany’s foreign ministry, “the Iran-backed Shiite Islamist movement is a relevant factor in Lebanese society and part of the complex political landscape in the country”. In the case of Italy, according to a report of RT (Russia’s international TV network) dated 23 March 2019, “Italy became the first G7 nation to sign up for Beijing’s multibillion-dollar Belt and Road Initiative. The deal was struck amid warnings from Rome’s EU partners against negotiating with China alone. The memorandum of understanding was signed during Chinese leader’s Xi Jinping three-day trip to Rome. The nations also struck additional deals, including in the steel and energy sectors” ….. “The full details of the contracts were not disclosed but reports suggest they can be worth up to €20 billion (US$22.6 billion).Chinese media wrote that the port cities of Genoa, Trieste, Ravenna, and Palermo may be included in Rome’s plan to attract Chinese shipping and investment”. Then France almost immediately followed suit. The Brussels-based European online newspaper eu observer published a report on 26 March 2019, highlighting that after Italy Chinese President Xi Jinping visited France and had a bilateral meeting with the French president Emmanuel Macron on 25 March 2019. As a result, “France has signed €40bn of business deals with China, despite concerns on strategic investment and human rights abuse”. The paper also mentioned, “They will meet again in an enlarged format with German chancellor Angela Merkel and European Commission president Jean-Claude Juncker”. Not only that, the above-mentioned report by eu observer also mentions “Top EU officials and China will meet at a subsequent summit in Brussels on 9 April. The draft summit communique, seen by Reuters, calls for the removal of market access barriers on both sides to stimulate further investment despite the strategic concerns. a. The Cold War era’s geopolitical unity of the non-Soviet Europe is certainly eroding, as also even that of the post-Cold War expanded EU. It should also not be a surprise if the old historical rivalries between certain European nations/countries start re-emerging. However, a complete disintegration of EU or European bloc as a whole is not much likely, primarily due to the rather intermingled geo-economical interests, besides some geopolitical considerations, of most countries. b. The recently commenced geopolitical “re-set” of many European countries including decades-old US’ allies, getting away from US and aligning towards Russia and China – considered by US as its major adversaries – is of great significance. This evolving phenomenon clearly indicates the fast increasing geopolitical “multi-polarity” and the decreasing geopolitical weightage of US in the international arena. c. Both these aspects of the evolving changes in Europe are likely to open new avenues for many countries in the world, for new geo-economic and geopolitical interaction with European countries.